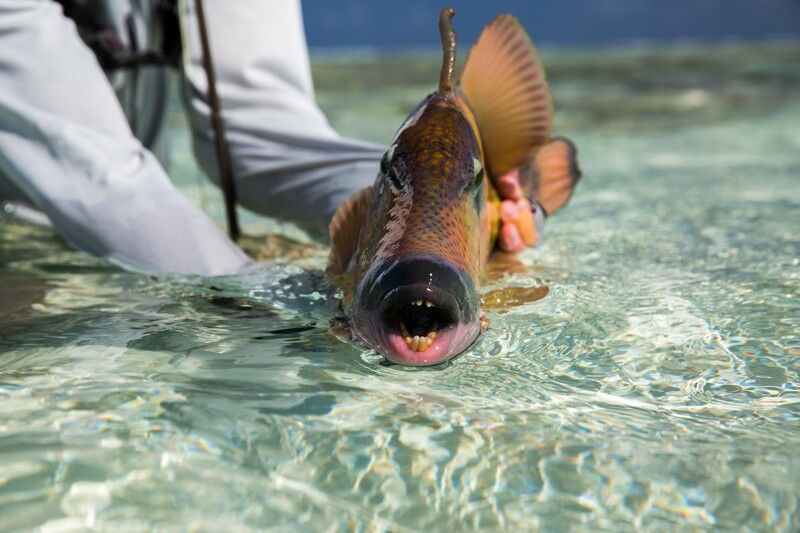 This week’s group of anglers left with many treasured memories, photos of trophy fish but also with line cuts and broken rods casting a light on tales that might have been. It has been another rollercoaster of a week with both the flats and the bluewater fishing producing some fantastic results. Unfortunately, the bad weather system from last week hung around causing some delays on the first day. However, the guests were not deterred and got stuck straight into the fishing at their first opportunity. 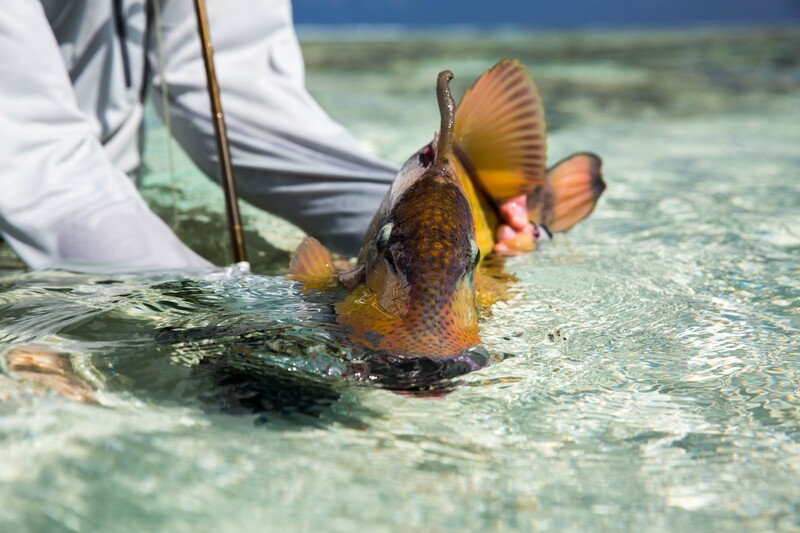 This week saw the highest number of members joining the 20+ Bonefish club that we have had all season. 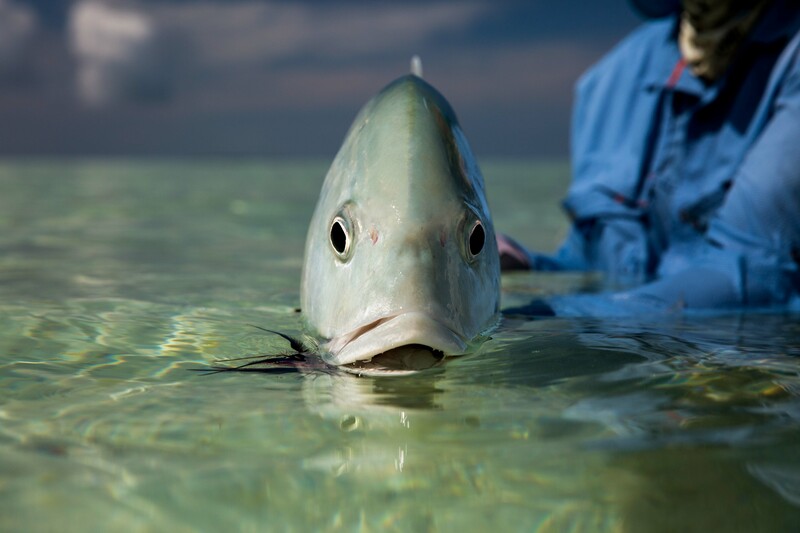 Robin B, Soren & Anders N, Richard G, Digby F, Gillian S and John C all managed to successfully land and release 20 or more Bonefish in one day, a feat that not many anglers can say that they have achieved. 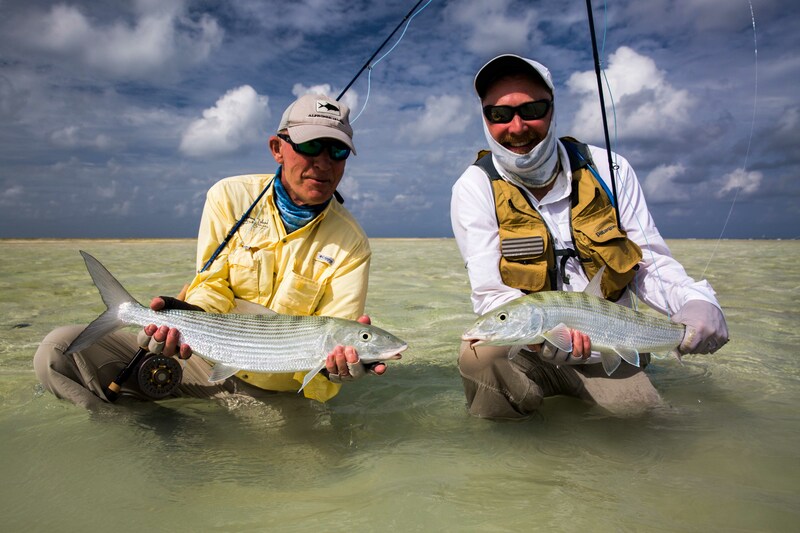 A special mention goes out to Robin and Gillian who were joining us on the flats for their very first time and took full advantage of the awesome fishing and managed to rack up a huge tally of Bonefish. 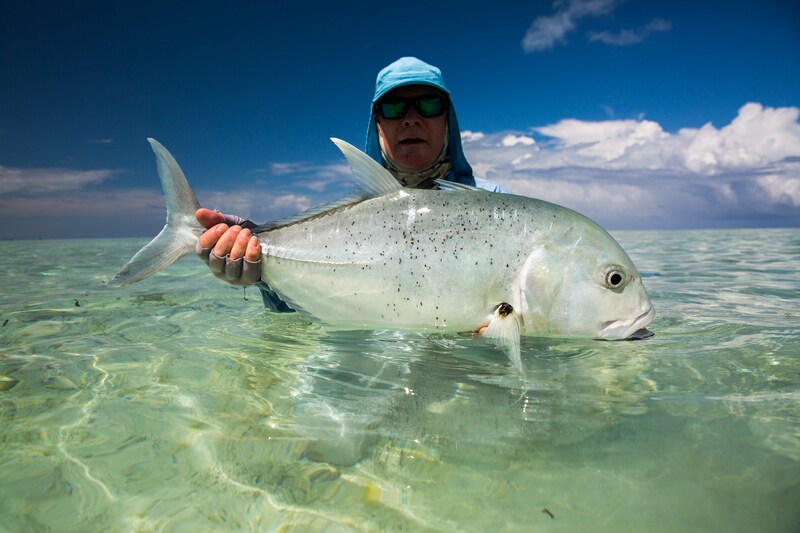 Furthermore, Gillian topped her week with a very nice 57cm GT. 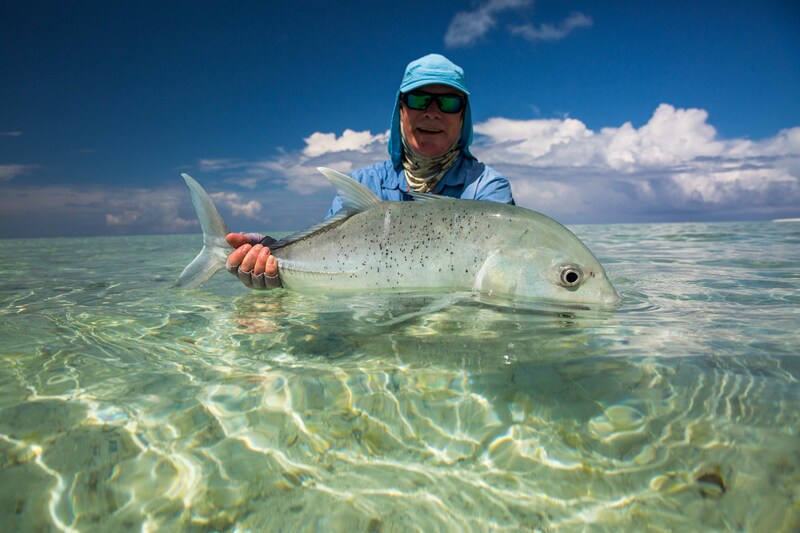 Continuing on the Bonefish front, Digby Flower concentrated all of his efforts on Bonefish and managed to catch more than 20 bones in a day for three consecutive days. 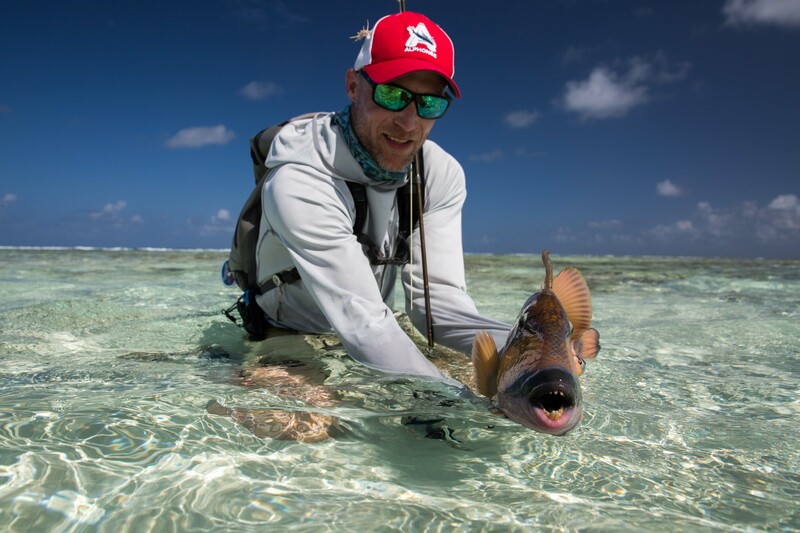 The Triggerfish crown of the week goes out to Anders N who outwitted both of the main species, catching a really good size Moustache and a Yellowmargin. 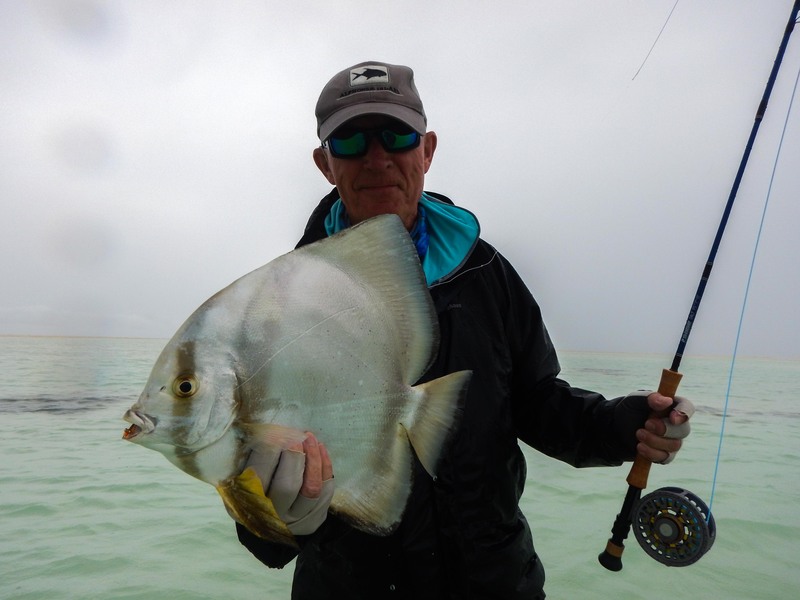 In spite of quite a few close encounters with some huge GTs resulting in broken rods and snapped fly-lines only a handful of fish came to hand. 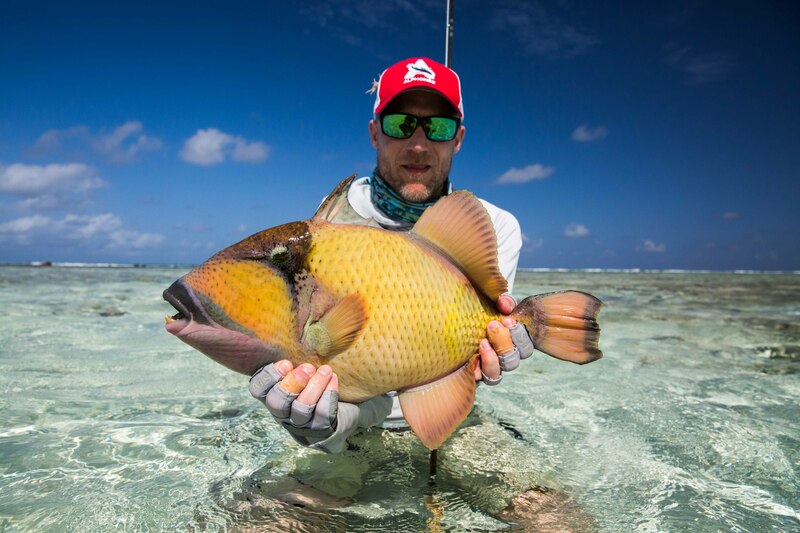 David South celebrates this week’s biggest GT sitting at a respectable 75cm. It is a truly difficult task to try and land all three of our main flats species in one week let alone one day but John Coe did just that. 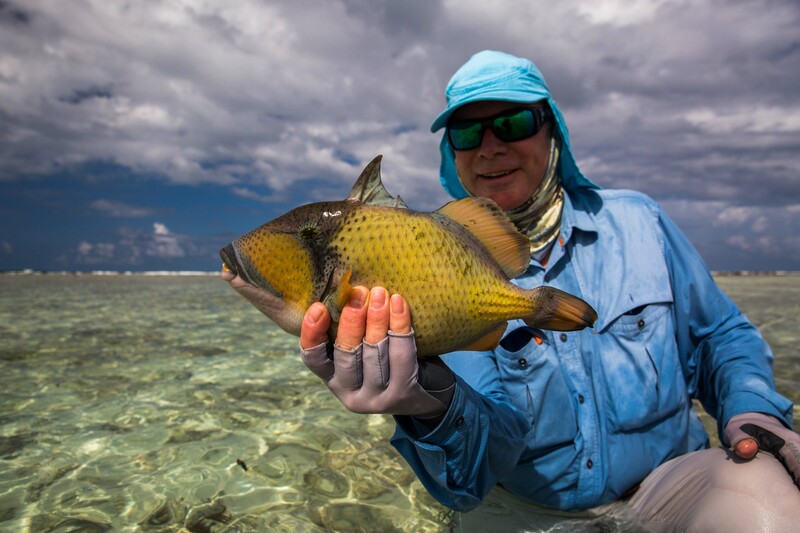 He left it right until the last day and ended with a bang by managing to start with a nice Moustache Triggerfish, followed by a 72cm GT on the white sand and then a bonefish right at the close of the day to finish with a ‘Flats Slam’. 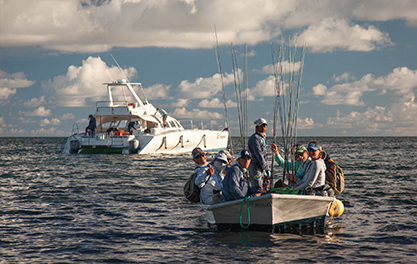 Despite only two bluewater trips going out early this week, there was a total of four ‘Bills & Bones Slams’ in the space of two afternoons with many other Sailfish narrowly escaping. Despite the weather, the week as a whole was a great success thanks to the patience and perseverance of the guests. 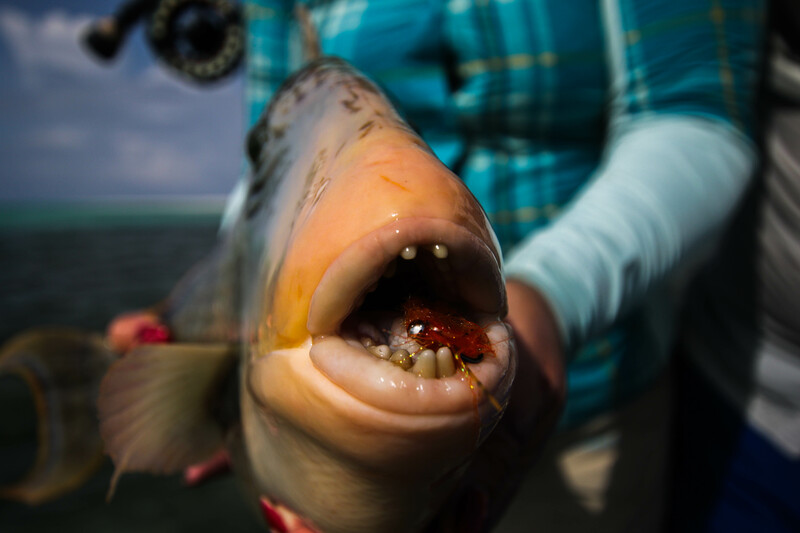 The weather forecast is looking up for next week so fingers crossed for some sunshine and great fishing. See the weeks images in the below or have a look at the other reports and stories we have at the Fisherman’s Diary.